So, while I’m off on a break in Tennessee, I’ve scheduled a few more of my new Doc On The Box meme – where I look at a single (and random) episode of a long running mystery series. 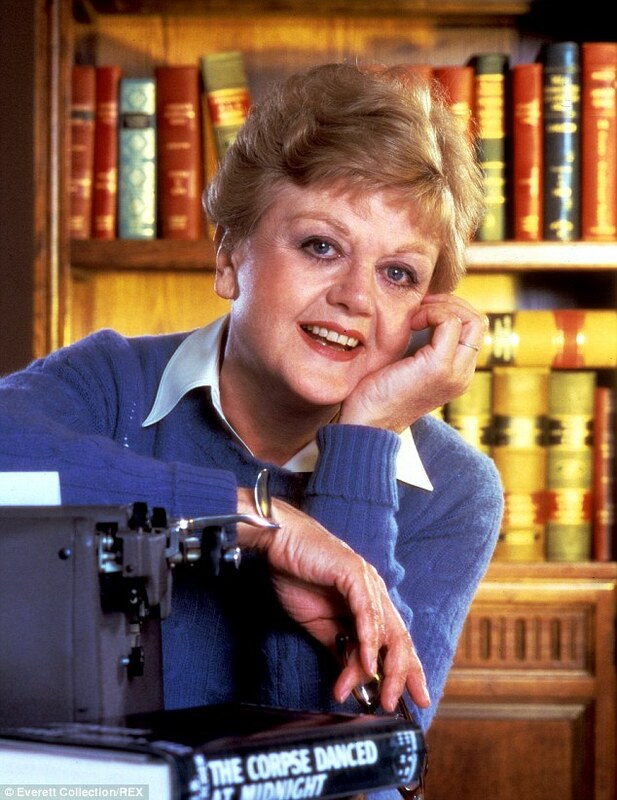 In case you’re unaware of Murder, She Wrote (some people might not be, I guess), it was an incredibly successful series starring Angela Lansbury as Jessica Fletcher, a mystery writer who trips over a dead body roughly once a fortnight. And as luck would have it, in this episode, that dead body is in Tennessee (I think). Murder, She Wrote clocked up 264 episodes in total, with a recurring cast of one character. Think about that, compared to modern crime shows. Bones has six, Castle has eight, but only Jessica is in every episode of the show. The next most frequent character, Seth, is in less than 1/5 of them! How times have changed – could such a show, basically eschewing all character development of the lead by not having people to relate to. But it never bothered the viewers, as the show lasted twelve years. It was certainly a mainstay of my Friday night viewing at the time. This is a fascinating episode, hamstrung by the relatively short length to develop the mystery. Some characters appear and then vanish again. A red herring turns up – a bottle of nail varnish – and once it’s owner is identified, nothing more comes of it. A hint to how the murder was committed is dropped in at random by one character. But there are clear indications as to who the killer is – not that the method would have worked, as the alibi they create only works if the victim manages a few last words, and only a moron would believe that they are… well, a spoiler, I guess. And is there really that much money to be made by bootlegging cassettes? There are three cast members, apart from the wonderful Angela Lansbury, that are familiar to me. Country legend Charlie Daniels plays the ex-con – not a bad performance, to be fair, William (Die Hard, Ghostbusters) Atherton plays the blind man and G W Bailey (Lt Harris in Police Academy) plays the local investigator. Unfortunately, Atherton has trouble playing blind – his glasses aren’t dark enough to hide the fact that his eyes tend to look at things – and the police chief’s amiable misogyny – well, the less said about that, the better. But it’s supposed to be played for laughs, and it really isn’t funny. Looking on the IMDB, this isn’t the highest rated episode of the show but it has to be applauded for the mystery and the central performance from Dame Angela. A shame about almost everything else. Angela Lansbury wasn’t in all of the episodes. There were a few where a friend was the detective. More recently, G. W. Bailey played Lieutenant Provenza on the excellent–at least, in its early years–“The Closer” series. I guess he’s still playing the same character in the follow-up series “Major Crimes”, but I’ve stopped watching it so I’m not sure. If you haven’t seen “The Closer”, you might give it a try, especially the first season. While it’s a police procedural show, some of the episodes are whodunnits with clues. It’s been on my radar without ever getting close enough to actually see an episode. I’ll keep an eye out. Yes, as i recall for the best part of a season Lansbury provided a prologue and epilogue only, turning it into a kind of anthology. One of the best of these was a THE GRAND OLD LADY from the sixth season, a lightly re-written script from the ELLERY QUEEN series that the producers had made in the 70s. That’s interesting. Do you mean it was a rewritten script from an Ellery Queen episode that was actually shown? If so, do you know the name of the episode? It was an unfilmed EQ script. The Grand Old Lady episode was originally intended as an Ellery Queen (1975-76) episode but was shelved after the series was cancelled. Hence it was never shown as an Ellery Queen episode. It was later filmed as a Murder She Wrote episode with a complete change in the names of the characters. Incidentally, the Murder She Wrote episodes are all available on You Tube. I thought it was only on occasion but if that’s right, that’s the point where I stopped watching as I thought without Lansbury, it lost it’s charm. She came back afterwards fulltime and obviously was controversial at the time – but basically the rigours of filming took their toll on Lansbury – but the ratings were so high they weren;t prepared to let go. These are pretty awful mysteries for the most part, though I won’t admit to how many seasons I own on DVD. LOL. Still, I do pull them out once in awhile because they are rather like comfort food. Things don’t always make sense, but there’s a warm fuzzy feeling about watching them again, and it takes me back to a calmer, gentler time on TV and in my own life. You’re right that it was not a very good show, though it was better in the first few seasons than later. The last few seasons were awful. But I feel a sort of nostalgia for it. The name of the episode has not been mentioned anywhere ! This one? Season 3, episode 22 also known as Murder, She Spoke. I have seen the episode 3.22 and I found it mediocre. I have also seen The Grand Old Lady (aka 6.3 🙂 ). This is good and properly clued.